House Democrats play games with education funding. 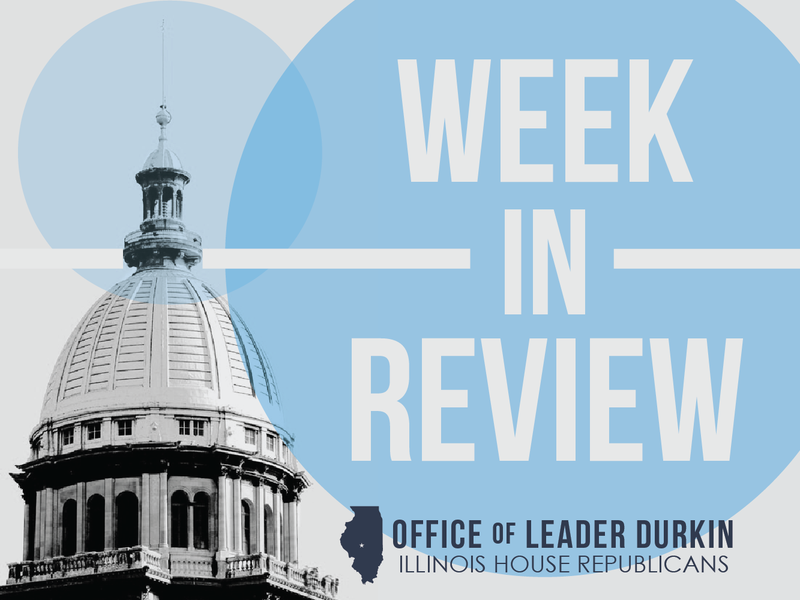 Following the Senate’s vote on Sunday to override Governor Rauner’s Amendatory Veto of Senate Bill 1, the Illinois House met in session on Wednesday, ostensibly to act on education funding reform. Unfortunately, Wednesday’s House session was nothing more than political theatre. Rather than negotiate a compromise to achieve fair and equitable funding for schools throughout Illinois, Speaker Madigan once again chose to do nothing. The House did not take action on SB 1. Instead, the Speaker called for a vote on a fake bill, sponsored by his Majority Leader who didn’t even support the language of her own bill. House Republicans refused to participate in this charade by voting “Present” on SB 1947, because it wasn’t about reform; it was about political retribution. The State missed its August 10th deadline to distribute the first State aid payment to schools. The General Assembly should be working to ensure that schools open on time and remain open for the full school year. House Republicans and Governor Rauner again urged the Democrat leadership to work with us on true education funding reform. The four legislative leaders are scheduled to meet on Friday to continue discussions on education funding. We need a negotiated solution that treats all Illinois school children equally, regardless of where they live and go to school. A fair and equitable school funding formula is in the best interest of all Illinoisans and we will continue to work towards that goal. House Republicans, Gov. Rauner fight to control $13.5 billion Medicaid program; Democrats seek to oppose controls. Under the federal Affordable Care Act (“Obamacare”), Medicaid covers the healthcare expenses of a swelling number of Illinois residents. One estimate says that Illinois may have as many as 4.5 million Medicaid patients by 2019. Swelling patient numbers are one reason why this program’s annual costs have now entered eleven figure sums. Exercising his administrative-rule powers, Gov. Rauner and his administration are taking steps to reduce ballooning Medicaid costs. The administration’s primary target at this time is to complete the transition of many Medicaid patients from a fee-for-service model to the managed-care model already used by most private-sector insurance programs. The Rauner administration has already named six managed-care organizations (MCOs) as finalists for the future process of administering Medicaid benefits to recipients. The administration’s goal is to reduce the amounts of money spent by Illinois Medicaid on administrative costs and burdens not directly related to hands-on patient care. 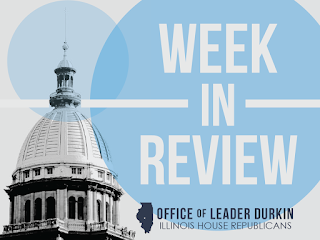 House and Senate Democrats in the General Assembly, who are increasingly oriented towards all-out war with the Rauner Administration, are trying to block this managed-care reorganization. They have used their partisan-majority powers to send legislation to the Governor, which Rauner is expected to veto, that would repeal his ability to use streamlined means to move Medicaid care to a managed-care model. 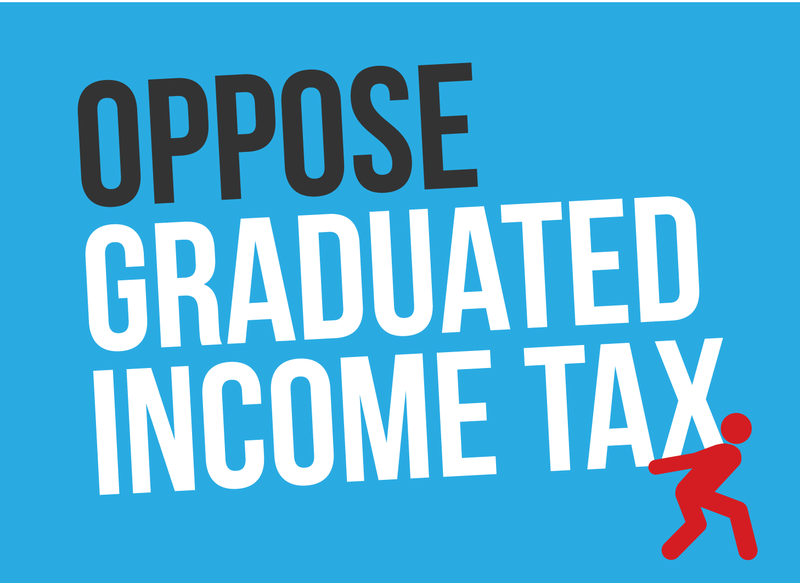 It would threaten the process of trying to bring this $13.5 billion-a-year budget item under taxpayer-friendly control. July 2017 unemployment rate increases slightly as Illinois continues to underperform neighboring states. The Illinois Department of Employment Security (IDES) released jobless numbers for the most-recently-concluded calendar month on Thursday, August 17. The new numbers include a slight increase in the State’s unemployment rate, from 4.7% in June 2017 to 4.8% in July. The roll of seasonally adjusted nonfarm Illinois jobs increased only slightly in July, from 6,046,900 positions in June to 6,049,000 jobs in July, an increase of 0.03%. Once again in July 2017 the Illinois private sector generated almost no net new jobs. July job growth in the sectors of professional services, business services, leisure, and hospitality were counterbalanced by net job losses in trade, transportation, utility services, educational services, and health care services. The U.S. as a whole continued to post significantly lower unemployment numbers than Illinois in July 2017 (4.3% as opposed to 4.8%). The currently posted unemployment rate is even lower in many states that border Illinois. For example, Wisconsin currently enjoys near-full employment with a jobless number of 3.1%. House Republicans introduce legislation to repeal Cook County pop tax. State Reps. Michael McAuliffe, Christine Winger, Peter Breen, Grant Wehrli, and Keith Wheeler have introduced legislation, House Bill 4082, to immediately repeal the one-cent-per-ounce Cook County Sweetened Beverage Tax. The tax, which went into effect on August 2, will result in Cook County consumers having to pay on average 67 percent more for a 2-liter of pop, 43 percent more for a gallon of juice drink or sweetened iced tea, and 29 percent more for a 12-pack. Gov. Rauner signs series of agriculture bills during State Fair’s Ag Day. Gov. Bruce Rauner signed a series of agriculture bills Tuesday, including House Bill 470, which designates corn as the official state grain of Illinois and is supported by the Illinois Farm Bureau. Primary bill sponsor state Rep. C.D. Davidsmeyer (R-Jacksonville) said HB 470 is inspired by the Pittsfield High School agriculture development class, which did extensive research on the impact corn has on the state. Gov. Rauner also signed several other bills that were initiatives of the Department of Agriculture. These bills, many of which seek to cut red tape, will reduce regulations and agency costs within the department. One of the bills is specifically designed to advance agriculture in Illinois. Senate Bill 1991, which passed unanimously out of the General Assembly, creates an Agriculture Education Shortage Task Force to examine the status of agriculture education in the state. The task force also will make recommendations for how to expand recruitment and retention of agriculture educators. The task force will disband once the final report is completed. Gov. Rauner requests FEMA teams for flood damage assessments. Gov. Bruce Rauner asked the Federal Emergency Management Agency (FEMA) to join the state in conducting damage assessments in areas of Lake, McHenry, Kane and Cook counties after record and near-record flooding in July. The request was submitted after initial damage assessments conducted by county officials documented nearly 300 homes that suffered major damage or were destroyed and more than 3,000 others that also were affected by flood waters. "Many people in these counties are struggling to recover from this flood, and we want to do everything possible to help them," Gov. Rauner said. "These damage assessments will provide a clearer picture, not only of the damage, but also of what people need in order to fully recover from this disaster." Personnel from FEMA, the Illinois Emergency Management Agency (IEMA), the U.S. Small Business Administration (SBA) and local emergency management agencies are expected to begin assessing damage to homes and businesses Friday morning. The assessments will continue through the weekend until complete. IEMA also is working closely with municipalities, counties and other governmental bodies in the four impacted counties to document their costs related to the flooding. That assessment will help determine whether the state could meet the federal threshold of $18.3 million for assistance that could help government agencies receive reimbursement for some of those flood-related expenses. The State Emergency Operations Center in Springfield was activated for two weeks to support flood fighting efforts in these four counties, along with subsequent flooding in the northwestern part of the state. New law allows EMS personnel to take injured police dogs to veterinary clinics. Gov. Bruce Rauner has signed House Bill 2661, which allows Emergency Medical Services (EMS) professionals to transport police dogs injured in the line of duty to a veterinary clinic, provided no people require medical attention or transport at that time. 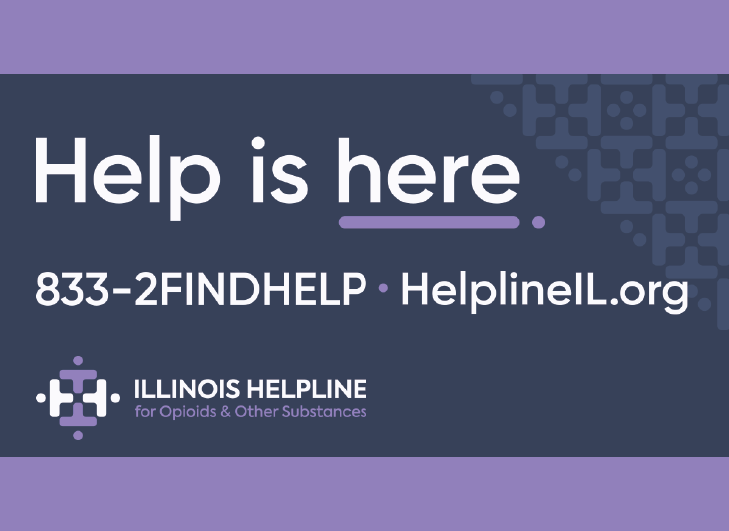 HB 2661 was passed by a bipartisan group of legislators and was supported by the Illinois State Police. Governor signs local government consolidation bills. On Monday, Gov. Bruce Rauner signed Senate Bill 3 and House Bill 607, two bills that enable local officials to consolidate units of local government. The bills, which reflect five of the 27 recommendations made by Lt. Gov. Evelyn Sanguinetti's Task Force on Local Government Consolidation and Unfunded Mandates, had bipartisan support. They empower local officials to begin reducing the nearly 7,000 local units of government in Illinois – 1,800 more than any other state. The exorbitantly high number of local governmental agencies puts an enormous burden on taxpayers, who primarily pay for these local governments via property taxes. Since 2015, Lt. Gov. Sanguinetti has spearheaded a task force charged with identifying opportunities to streamline government in Illinois and, ultimately, reduce costs to taxpayers. In the report detailing the task force’s findings, Lt. Gov. Sanguinetti recommended giving local officials and residents the power to consolidate local government agencies. Specifically, SB 3 expands DuPage County’s consolidation pilot program to all 102 counties of Illinois, giving each the authority to dissolve or consolidate some government units whose boards are appointed by the county. It also will allow townships in the state to consolidate with coterminous municipalities via referendum. HB 607 amends the Illinois Highway Code and allows the board of trustees of any township located in a county with less than 3 million inhabitants to submit a proposition during a general or consolidated election to abolish the road district in their county, a power already extended to townships in Cook County. Path of total solar eclipse will cross southern Illinois. In the rare phenomenon, the new moon will completely cover the daylight Sun. Parts of fourteen states will see the sun disappear briefly, but Southern Illinois University astronomers predict that the sun will be hidden longer (2 minutes and 41.6 seconds) over southern Illinois than in any other state. The nationwide championship spot to see the eclipse (weather permitting) will be a location just south of Carbondale, Illinois. Other Illinois towns and county seats where the sun will be dark include Chester and Marion. The Illinois eclipse will take place between 1:18 p.m. and 1:24 p.m., depending on the viewer’s location. This will be the first solar eclipse visible in the 48 contiguous United States since 1979. This could lead to traffic jams and other challenges in the “path of totality,” and law enforcement will be stepping up their presence in affected Illinois areas.